SPARKLING MEMORIES. 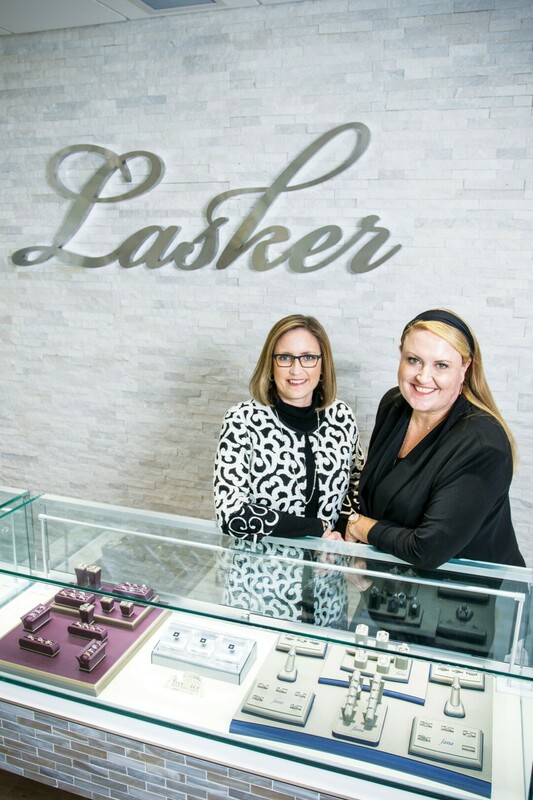 Sisters Liz and Nicole Lasker head up Lasker Jewelers, selling some of the finest jewelry in the Valley, and giving back to the community. Max Lasker was a Jewish immigrant from Poland who came to the United States through Ellis Island and somehow made his way to Wisconsin. In 1928, he founded what would become Eau Claire’s Lasker Jewelers.In the 1960s, Max passed the business on to his son, Charles, who expanded to a second location in Rochester, MN in 1970. 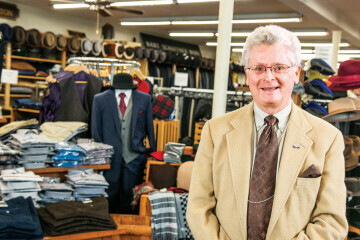 At various points over the decades, the Laskers had shops inside London Square Mall, Oakwood Mall, and even a shop on Barstow Street in downtown Eau Claire. Walking into their current, freshly remodeled location at 3705 Oakwood Mall Dr., it’s amazing to see what 90 years of hard work and dedication to one’s customers – and their community – can achieve. 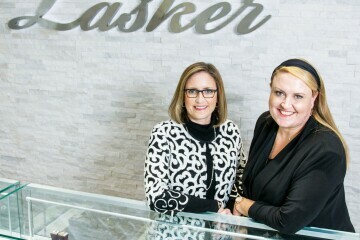 Sisters Nicole Lasker and Liz Lasker Falkner (granddaughters to Max) worked in those jewelry shops throughout high school. Now they co-own the company, with Nicole serving as president. Nicole attended University in the Twin Cities and worked in the Minneapolis market for a number of years before returning to Eau Claire. 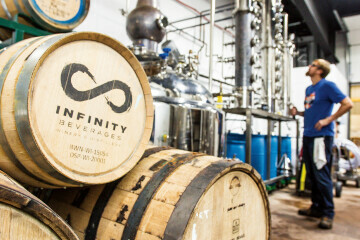 She says, “I had to earn my experience and education before working for my father.” Describing her father as an “incredible old school business man,” Nicole says she was able to tackle the new technology and marketing that’s kept them relevant into 21st century. 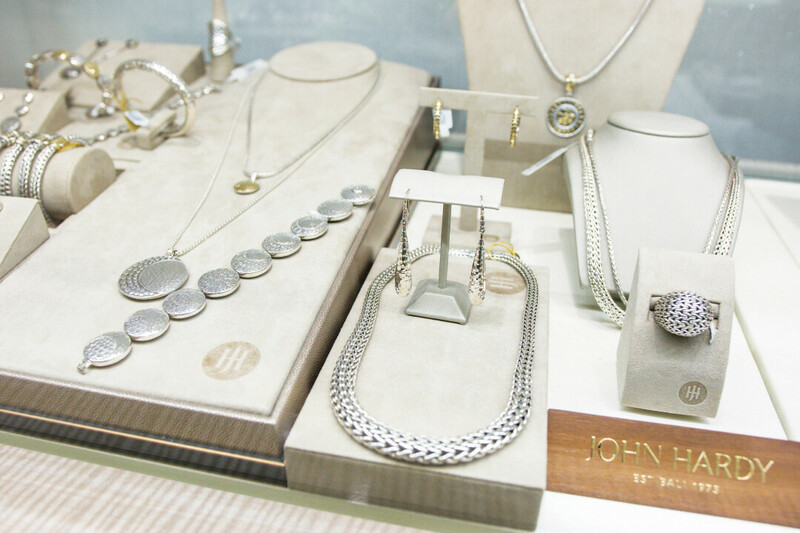 Specializing in both fine and fashion jewelry, Nicole says they endeavor to meet the needs of the entire community. They sell everything from engagement rings under $500 to one-of-a-kind diamond pieces over $50,000. 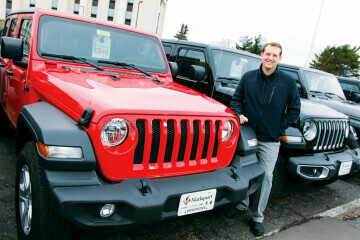 An ever-growing trend Nicole has seen in her customers is the importance of shopping local. 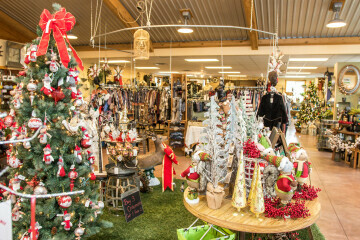 She says, though Lasker is a larger local business, the impact of shopping with them is felt immediately in their support of initiatives like the Pablo Center at the Confluence. Nicole’s most recent special project involves supporting the families of the Girl Scouts who recently lost their lives in Chippewa Falls.